Dr. Hill R. Jones has joined the company as sales manager for the new office. Dr. Jones was formerly with Harvey-Lynch, Inc. He will be responsible for marketing, con- sulting services, and products in the Gulf Coast area. Texas. 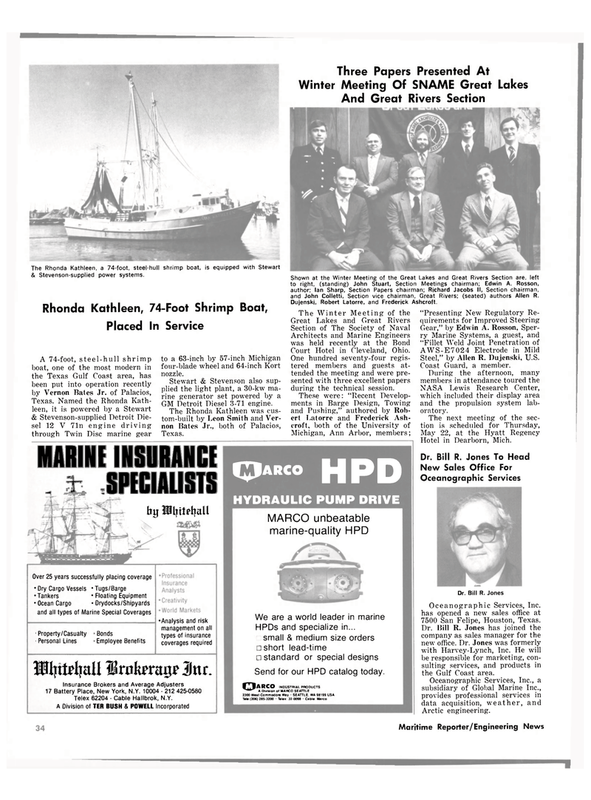 Named the Rhonda Kath- leen, it is powered by a Stewart & Stevenson-supplied Detroit Die- sel 12 V 71n engine driving through Twin Disc marine gear to a 63-inch by 57-inch Michigan four-blade wheel and 64-inch Kort nozzle.